Boston United will be the first visitors to the Phillips 66 Community Stadium, one of seven fixtures in a busy August for Paul Holleran's side. Leamington will kick off their 2018/19 National League North campaign with a trip to newly promoted Altrincham on August 4. 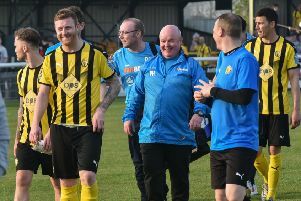 It is one of seven games in a busy first month for Paul Holleran’s side, with Boston United the first visitors to the Phillips 66 Community Stadium the following Tuesday. The trip to York City, scene of last season’s survival celebration, comes on November 10, while Boxing Day will see a visit to Brackley, with the return fixture on New Year’s Day. Supporters will have to wait until March 9 for the eagerly anticipated trip to Chester City, while the season concludes on April 27 with an away fixture at Darlington.